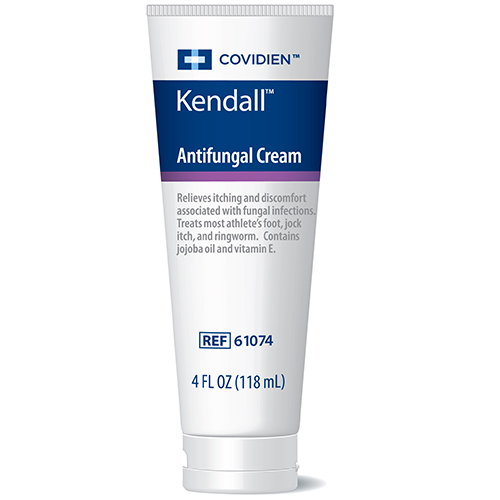 Covidien Kendall™ Antifungal Cream contains 2% miconazole nitrate, a medication that is commonly used to treat fungal infections of the skin. The formula is hypoallergenic and pH balanced. Covidien Kendall™ Antifungal Cream contains 2% miconazole nitrate, a medication that is commonly used to treat fungal infections of the skin. The formula is hypoallergenic and pH balanced. It provide effective relief for the itching, soreness and irritation associated with jock itch (tinea cruris), althete's foot (tinea pedis) and ringworm (tinea corporis). Skin that has been compromised by excessive moisture or water loss is susceptible to secondary infection. Fungal infections are common in the perineum, where the skin tends to be warm and moist; an environment in which fungi thrive.